Marian Gold probably never met David Hasselhoff. Back in the 1980s, Gold was the lead singer for a band called Alphaville that produced one of the best known songs of the era. The single “Big in Japan” was a chart topping hit, and has been featured in many films and compiliation CDs since it’s first release in 1984. So what can a one hit wonder and a transplanted television star teach you about social media? It was a question that came to my mind recently as I read Sree Sreenivasan’s profile of a tech reporter named Robert Anthony who has quietly amassed more than 1 million followers on Pinterest, while keeping a modest social profile on other sites like Twitter (@newyorkbob). It is tempting to try and be everywhere at once. The common wisdom that many brands follow is that you NEED to be everywhere just in case your customers want to interact with you. We often hear that platforms don’t matter. It is one of the most common cliches that social media experts tell clients. The fact is, the platform actually does matter. So do other “atmospheric” considerations like region and culture. 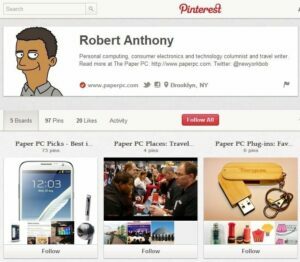 Robert Anthony succeeds on Pinterest because he uses original photography about technology paired with original descriptions that people love to see and share. He has access to technology that most of us don’t because of his profession as a tech reporter who works with PR people and reviews early releases of products. He has found a platform to share his expertise – and it is working. Hasselhoff took his German roots and built his musical career in a place that embraced him. 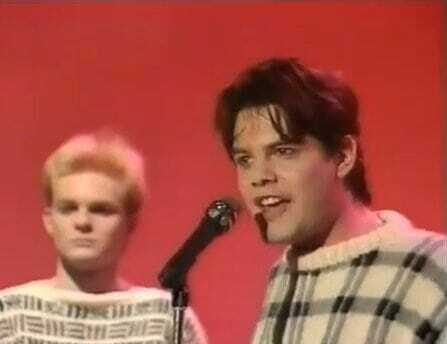 Marian Gold and Alphaville were defined by their one chart topping song – though they probably never intended it. The biggest lesson they all teach us is this: if you want to be forgotten, try to be everywhere and do everything. But if you want to be remembered, pick a song, or a country, or a platform … and proudly be a one hit wonder.